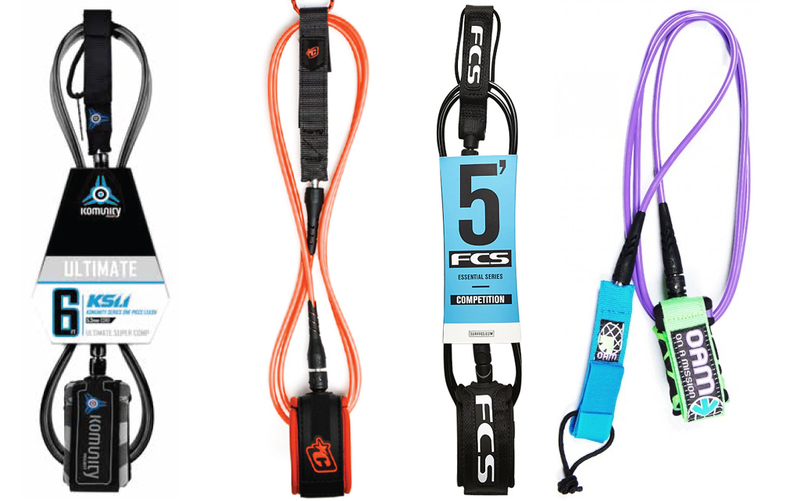 Your surfboard leash is designed to keep your board attached to you. A quality surfboard leash will do this optimally without risking damage to you or your board. The features of a well designed leash can greatly enhance your surfing performance and fun. A poor quality or the wrong leash can increase the risk of harm to you and others as well as interfere with your surfing. Purpose built for different conditions your surfboard leash comes in mainstream lengths. 5′ – 6′ for small to normal size waves and shortboards. 7′ – 8′ for bigger waves and mini-mals. 9′ – 10′ for big waves and longboards. 12′ long for monster waves. The main difference between these leashes, apart from their length, is the thickness or diameter of the cord. One of the big things you can do to enhance your small wave surfing is to go for a less cumbersome, thinner lightweight cord. Thinner surfboard leashes are almost unnoticeable. It is amazing that a millimeter or two can feel so different. If they get caught around your fins thin leashes create negligible drag. If caught under your foot they don’t affect your grip or interfere with your surfing. Most thinner diameter leashes are branded as Comp, meaning competition level. In competition you want the maximum benefit and minimum hindrance to your performance. Coming with a 5′-6′ length Comp leashes have a 5-6mm diameter cord and a finer lightweight cuff. Everyday surfboard leashes are designed to cope with the stresses and strains of waves in the 3′-4′ range as long as they’re not too punchy. A 6′ leash with 6mm cord is standard but it’s also common to have 6′ length paired with 7mm diameter. You’ll notice the extra bulk over a Comp leash. Even though there’s only millimeters of difference in diameter if your regular leash gets caught under your fins you’ll notice the drag. The thicker leash caught under your fins can even cause your board to skip and dump you. As the surf increases in size so the thickness of your surfboard leash increases. So does the safety your leash provides you. Waves of more power or bigger size should be matched to a leash at least 7′ length by 7mm diameter. Big to very big waves need leash lengths from 8′-12′ with cord diameters 8mm and 9mm. In big waves your leash length gets longer because the waves have so much power if your board hits you it will cause serious injury. So you want your board away from you when you wipeout, but not too far. A leash with well engineered cord material will keep your board at just the right distance once you’ve hit the water. Lower quality cords tend to overstretch keeping your board stuck in the wave. You can be dragged or kept stuck in the impact zone. This is a real and dangerous problem. The other reason why you want a longer leash is that you may have to bail out and dive for the bottom to get away from the breaking wave. If your leash is too short you won’t be able to dive deep enough. In big waves it’s not as common, but in monster waves, you may have to urgently remove your surfboard leash to bail out or it may become caught on a marine obstacle. 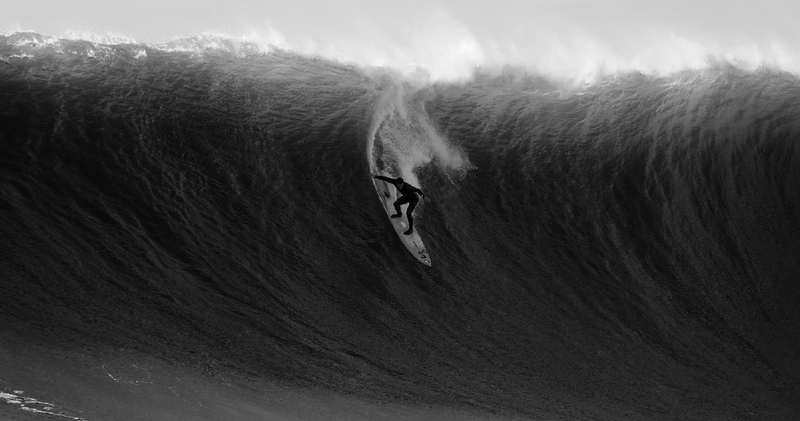 This has happened at Mavericks where a leash was caught around a submerged rock trapping the surfer. Getting your leash off, especially with a triple seal cuff, takes time, time you don’t have in an emergency. So ideal big and monster wave leashes have a release pin you can grab and with one tug your leash is off. This offers an essential safety factor in heavy surf. Wave size and power aren’t the only factors that dictate surfboard leash length and thickness. 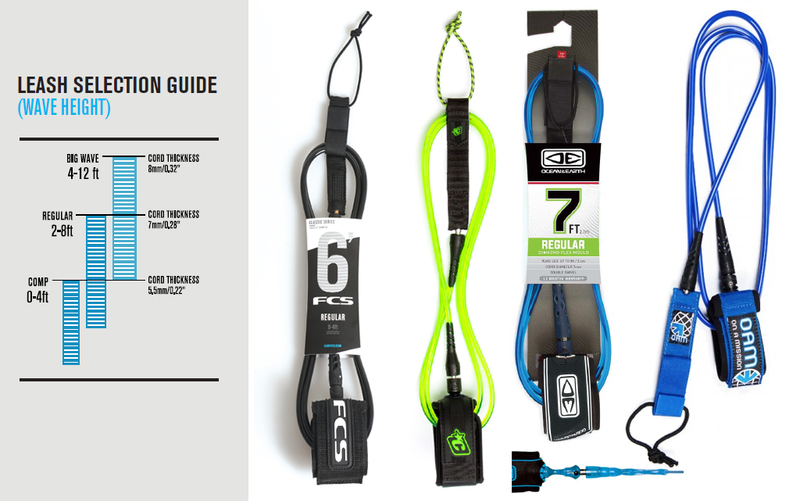 If you’ve a longer board like a mini-mal or longboard then a 7′ leash would be standard, increasing in size to 8-9′ to match your board size, regardless of wave size. For example if your board is 9′ long and you want to walk the board to hang off the nose you’ll need at least a 9′ leash just to make the distance. It’s all about having just the right amount of string length. The first two images show the leash string threaded in the deck plug in a doubled over manner. The rail saver is attached and protects your board’s rail. The next images show the string threaded through the plug then threaded on itself. Note the string is now too long and has direct contact with the rail. A powerful wave can pull on the string and cause damage, cutting into your board. A quality surfboard leash comes with its own string. Some have the string separate. Some have the string attached to the rail saver. Having the string attached to the rail saver has one advantage in that anywhere you take the leash you can attach it to your board. One of the most frustrating things is to go to attach your leash and find you have no string. The string is threaded through your board’s deck plug and then the rail saver is attached to the string. It’s important to have only just enough space to thread the rail saver through the string. If there’s too much length the string will put pressure on your board rail that can lead to damage. The components in a quality leash work together to increase your fun and reduce your risk. Quality cords are engineered with specific characteristics. They’re strong having a high breaking strain. They don’t over stretch and keep their integrity. They return your board to you an ideal arms length away, but don’t return it too fast. The return time of a well engineered cord, to get your board back, is important as you need to start paddling to get yourself out of the impact zone as fast as possible. Cheap leashes tend to keep your board in the pull of the wave so it doesn’t return to you. If you can’t get back on your board, you’ll get hit by more waves. Being stuck in the impact zone is a dangerous place to be. It’s where the waves are most powerful, pushing you under. It’s also where other surfers are making their takeoffs and where’ you’ll be right in the way. The swivels should be well attached, usually embedded in the cord so they won’t pull out. They should spin freely so the cord doesn’t twist and tangle getting bunched up caught around your foot or fins. Triple swivels have a double ended swivel inbetween the cuff and the cord. These seem like a good idea but do add to the bulk and stiffness of the leash, right near your ankle. The cuff design has several beneficial criteria. It’s comfortable with no abrasive areas so it doesn’t rash your ankle. The cuff shouldn’t swivel. Not only will swivel increase your discomfort, the cuff needs to ensure the cord position remains unchanged, pointing behind and away from you. If you’ve ever jumped off rocks or a boat you know the danger of your cord unexpectedly shifting around getting tangled around your feet or obstacle. The cuff should be sized to match wave size. A small lightweight cuff is ideal for small waves but can get ripped off in powerful waves. A bigger cuff is needed for bigger waves as it disperses wave pull over a larger area. A triple lock on the velcro will ensure the leash won’t come off regardless of the wave power. However if you are surfing big to monster waves then look for a leash with a quick release so you can get it off quick in an emergency. Leashes do fail. Cheap leashes break because they’re made with low quality materials. Do you want to risk your safety, or the safety of others if your leash breaks and your board bounces it’s way to shore? Good quality leashes are much less likely to, but can still break from a range of causes. Your fin can nick your cord creating a small cut. It might not immediately break but it’ll only be a matter of time. A nick can be checked for. Run your cord through your hand and you’ll be able to feel it. If your cord breaks from a nick you normally see a clean finish on both broken ends. Your cord is not indestructible. It can break if you get hammered by a wave heavier than its design criteria. In this case the broken ends have a rough finish. The way to prevent against this is to use the right size length and diameter leash for the power of the surf. Get your 7mm and bigger diameter leash as the waves get bigger and more powerful. On a sand bank or rock shelf, a smaller wave may still have a lot of power. One of the most common cord breakages occurs at the point where the cord joins the ankle cuff or ankle horn. At this join it rips out or breaks off. With a good quality surfboard leash this will be much less likely. The major brands, recognising this weakest point, have several technologies, some patented, to prevent this kind of breakage. It’s rare that the ankle cuff will fail but as the waves get bigger their power can rip the cuff off your foot. So leashes for big waves have bigger ankle cuffs with heavier duty velcro. Some have a third overwrap closure to make sure they stay sealed no matter what. A breakage in the rail saver is rare. Occasionally your cord may separate from the saver or your string break. So do a quick check of that rear end of your surfboard leash before you surf. The rail saver with its triple seal doesn’t come apart so is normally the least problematic part of your leash. 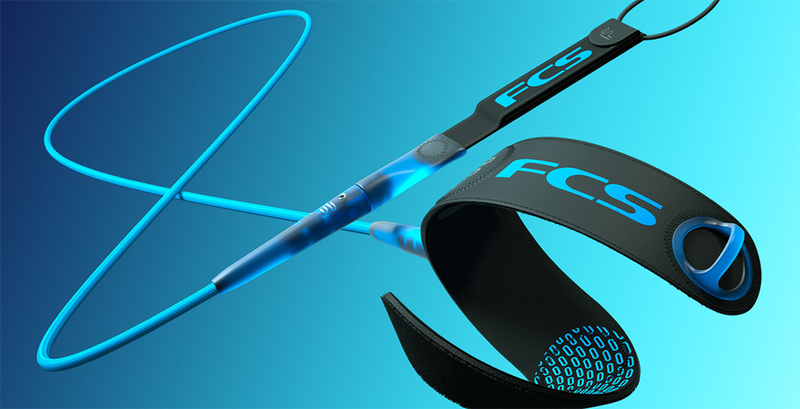 With all surfers having differing levels of swimming fitness, the leash does provide a degree of safety. It keeps your board close to you so you don’t have to swim. When the waves are big your leash becomes critically important. It’s heavy to see one of those big wave surfers berate their leash because it didn’t stand up to the waves. For them it could be life or death. You don’t know when your leash might become super important to you. So get the best quality surfboard leash you can. A quality surfboard leash will greatly benefit your surfing by being unnoticeable most of the time. That’s what you want. Its lightweight and performance design will help you in your quest for bigger moves. If you blow a move, it will keep your board perfectly returning to you when needed. A quality surfboard leash will help keep you safe while you’re having a heap of fun. To check our great surfboard leashes and buy online click here.